Most people know by now what works for them probably doesn't work for someone else when it comes to hair cair and that is because of how many different types of hair there is. Let me start off by telling you guys about my disastrous hair. I have very thin, very fine hair. It curls when it feels like it and doesn't when it doesn't want to. If it wants to be straight that day no matter what I do curls just fall out. I usually have to change shampoos every month or else my hair has issues. I've tried so many different times to just find that one brand that my hair likes and I think I've found one for now at least. 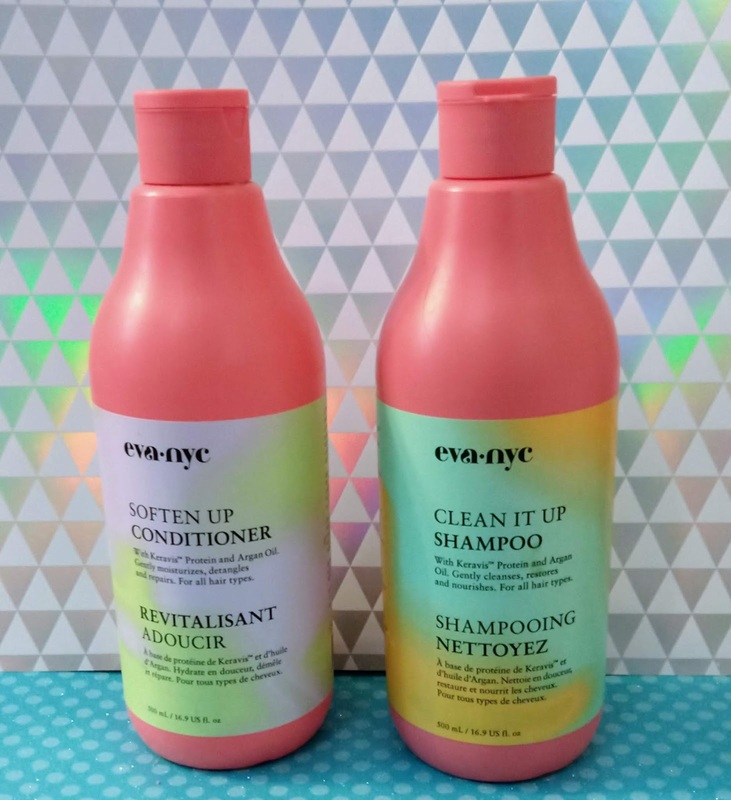 I'm going on my 3rd month of using Eva NYC Clean It Up and Eva NYC Soften Up and my hair still seems to be very happy with it. It takes about 3 days for it too look like poo. When my hair gets sick of a shampoo and conditioner duo it usually looks like absolute poo the very next day after a wash. By poo, I mean extremely greasy and hard to work with. My hair currently has more nice light curly days than ever. When I first started using these I still had my same hair problems but, about 2 weeks in I noticed the difference. Both products appear much thinner than any I have tried before. The Clean It Up literally takes all the junk out of your hair. The Soften Up is what had me worried the most. It is super thin for a conditioner. I don't know how this works as well as it does but, even after the Clean It Up strips everything out this still moisturizes it. I don't plan on changing my brand any time soon and I really hope this helps someone with dysfunctional hair like my own. You can also read more reviews on the link above.